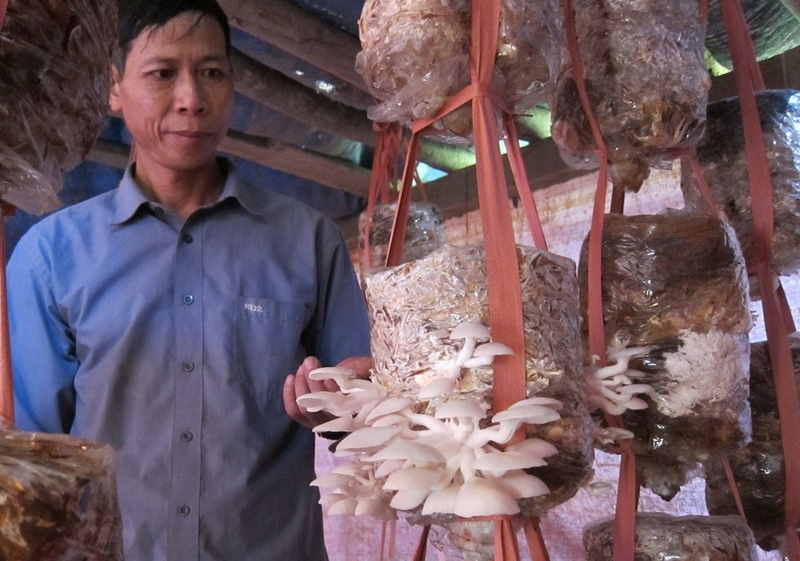 In recent years GVI has worked closely with the Bac Ha (Lao Cai Province) Farmer’s Association to educate families on farming mushrooms. This is a new product and concept for farmers in the villages in which the waste from their rice and cornfields is used as compost for the mushroom plantings. GVI volunteers provide business training as well as small loans to help farmers get started. The plantings produce several harvests each year which can be sold at local markets, generating much needed income for their families. Loans are then paid back to the Farmer’s Association generating a fund for additional loans.